How do I transform dataset from Excel spreadsheet using R? I have a dataset with about 2 million rows, so without reading the whole dataset I want to read a subset of dataset . My dataset contains a date column in it so I just want to read dataset between a date range without reading whole dataset as it will be time consuming and memory waste. so how to accomplish it can anyone guide me on this ? how to make accounting software in excel In previous articles, we described the essentials of R programming and provided quick start guides for reading and writing txt and csv files using R base functions as well as using a most modern R package named readr, which is faster (X10) than R base functions. What code do I need to read multiple data sets into R ? For a single dataset I use: File <- read.csv("C:\MyFile.CSV", header=T) But I need to compare up to 20 different datasets. Step 1. Read the Excel spreadsheet. First of all, we need to read the Excel into R environment. 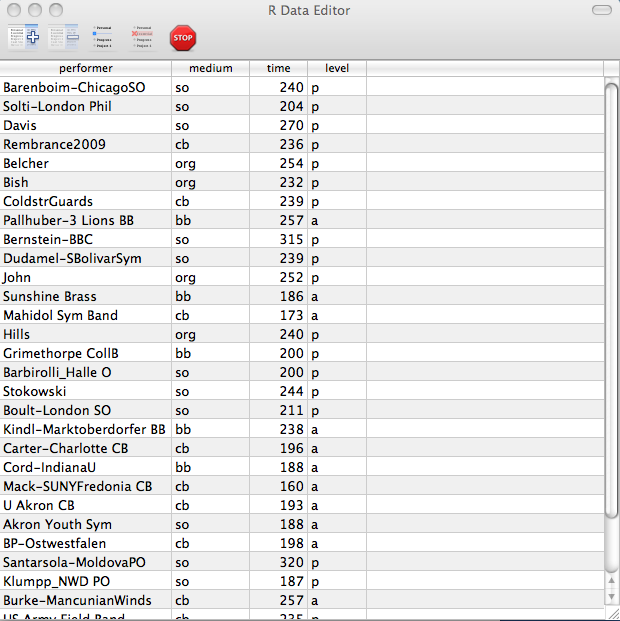 Note that the dataset has many tabs and named with the respective category name. I have a dataset with about 2 million rows, so without reading the whole dataset I want to read a subset of dataset . My dataset contains a date column in it so I just want to read dataset between a date range without reading whole dataset as it will be time consuming and memory waste. so how to accomplish it can anyone guide me on this ?